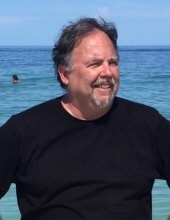 William Keith Shatto, 62 of Ripley, passed away January 19, 2019 at his home following a short illness. He was born on January 8, 1957 in Cuyahoga Falls, Ohio, a son of Robert Eugene and Mary Elizabeth Bourgeois Shatto. Keith was a United States Air Force veteran. Following his time in the Air Force, he and his mother started their business, “The Chateau Janitorial and Carpet Cleaning Company,” located in the Akron-Canton area and ran that for several years before moving to West Virginia. Keith was dedicated to his Goodwill co-workers at the Robert C. Byrd Federal Building location. He loved the outdoors and kayaking. He also enjoyed cycling, riding his motorcycle and fishing. Keith spent countless hours taking photos of his children and their friends playing baseball, football, soccer, and tennis. He is survived by his wife, Beverly Barnard Shatto; children Arin McKensie Shatto and Ryan Heath Shatto, Morgan Lee and her son, Gabriel, and Justin Weekley and his wife, Kathleen and son, Harrison; Uncle and Aunt, Harold and Bernice Miller, and cousin, Deborah Woosley (Husband, Kerry). In addition to his parents, he was preceded in death by a brother, Scott Wayne Shatto. A time of visitation with the family will be held from 4:00 pm until 6:00 pm on Saturday, January 26, 2019 at the Waybright Funeral Home, Ripley. A memorial service will be held at 6:00 pm followed by Military Rites provided by the Jackson County Honor Guard. In lieu of flowers, the family suggests donations in memory of Keith to the Crohn’s and Colitis Foundation, 733 3rd Ave Ste. 510, New York, NY 10017 or the Hubbard Hospice House, 1001 Curtis Price Way, Charleston, WV 25311. Memories and condolences may be shared with the family by visiting www.waybrightfuneralhome.com. To plant a tree in memory of William Keith Shatto, please visit our Tribute Store. "Email Address" would like to share the life celebration of William Keith Shatto. Click on the "link" to go to share a favorite memory or leave a condolence message for the family.